With Movin’ On being less than a week away, we at State In The Real are here to be your number one source for everything Movin’ On. We will be showcasing a different band everyday from now until the festival on April 26. 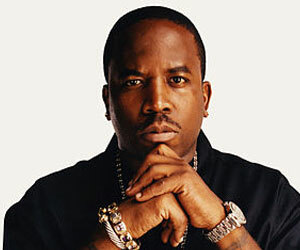 Antwan “Big Boi” Patton is best known for being a part of the hip hop duo, OutKast. Along side of André 3000, the pair released eight studio albums and received six Grammy Awards, making them one of the most successful hip hop groups of all time. After OutKast’s release of Speakerboxxx/The Love Below, which was a double album containing two solo compilations from each artist, the duo went on an indefinite hiatus. However, Big Boi’s been nothing but busy, and since the hiatus in 2007 he has come out with two more solo albums, one titled Sir Lucious Left Foot: The Son of Chico Dusty, and another released this past December titled Vicious Lies & Dangerous Rumors. OutKast may be a thing of the past in Big Boi’s career, but the originality that made the pair such an influence to the world of hip hop has definitely been transferred to his solo work. In his most recent album, Big Boi collaborates with groups like Phantogram and Little Dragon, using their luminous sounds with his own to create cool and breezy counterparts. Big Boi even seems to abandon rap altogether for a three-track chunk, with songs like Raspberries, Tremendous Damage, and Descending, he drops some heavy lines about his father. If there is anything this album does well, it’s giving listeners a variety of sounds with creative collaborations that only make me that much more excited to see him perform on April 26th.